SHADY COVE — Hydrologist Robert Coffan knew he was looking at something very unusual in the knee-deep summer waters of the upper Rogue River. 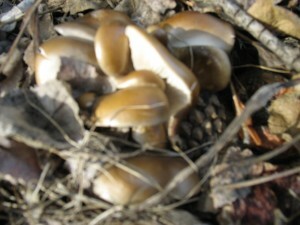 Here were gilled mushrooms, swaying in the main current of the clear, cold river in early July through late September. “But since gilled mushrooms DO NOT live and grow underwater, I was real nervous” about approaching a mycological expert, admitted the adjunct professor at Southern Oregon University. Indeed, Darlene Southworth, a retired SOU biology professor, was plenty skeptical when he broached the subject. Although she was impressed by underwater photographs taken by Coffan, she wanted to see the evidence firsthand. Not only did she witness the mushrooms found by Coffan, but she discovered others during an August visit to a stretch of the north fork of the river within a few miles of Woodruff Bridge in the Rogue River-Siskiyou National Forest. “There are no known gilled mushrooms living underwater,” Southworth explained. “And this is not a slime mold or anything like that. These are regular gilled mushrooms. 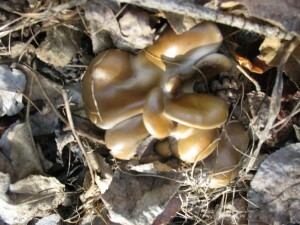 “We believe this is a new species,” she concluded of the mushrooms that are typically about 10 centimeters tall with caps that are about 2 centimeters wide. The find was unveiled Monday night at the November meeting of the Upper Rogue Watershed Association, for whom Coffan had prepared a water assessment last year. Dubbed Psathyrella aquatic, the mushroom is being introduced to the broader scientific community in a 14-page paper submitted Nov. 9 to the science journal Mycologia. The paper was written by Coffan in collaboration with Southworth and Jonathan Frank, a laboratory technician at SOU. Coffan credits Southworth, who now conducts research under a National Science Foundation grant at the university, for focusing on mycorrhizal fungi, and Frank for the paper and much of the research in determining the mushroom’s uniqueness. Up at Oregon State University, Matt Trappe, a doctoral candidate in forest mycology, says Coffan has found a unique mushroom. 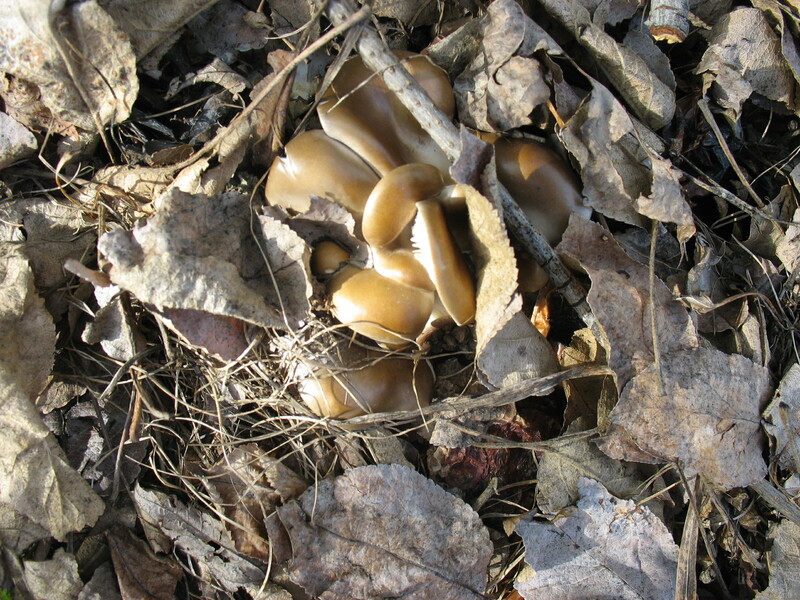 He and his father, Jim Trappe, a retired U.S. Forest Service mycologist who now teaches in OSU’s botany and plant pathology department, were consulted on the find. “As far as we’ve determined, this is a first in Oregon as well as a first in the world,” Matt Trappe said of gilled mushrooms living in water. “We’re not aware of anything at all like this in mycology where the reproductive mushroom structure appears to be perennially underwater. There are more questions than answers at this point, acknowledged Coffan, who originally discovered the water-dwelling gilled mushrooms in summer 2005. None of the mushrooms were found in slack water, he noted. A DNA analysis at SOU’s Bio Tech Center and a cross-check of references and experts, including mycologists at the University of Minnesota, determined the mushrooms belonged to the genus Psathyrella, Southworth said. Samples were sent to OSU and to San Francisco State University. There are about 600 known species of Psathyrella, all terrestrial, she said. “How do we identify them? We look at the morphology — the form, the shape and the DNA,” she said. It has a small bell-shaped cap, a thin stipe (stem) and gills underneath, she said. They examined the cells in the cap and made a spore print. Researchers have ruled out the possibility the mushrooms were growing along the banks and were merely submerged by rising waters brought on by snowmelt. 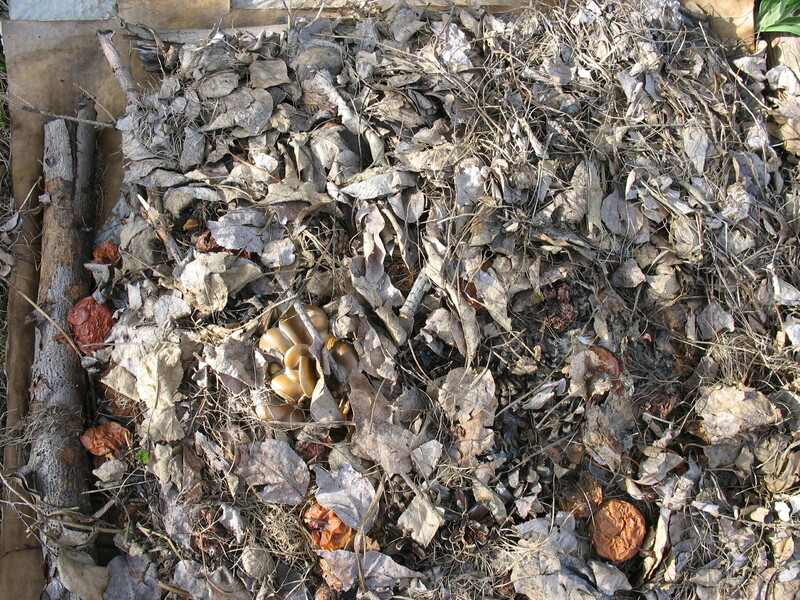 The mushrooms were found in the spring-fed “base” flow of the river, Coffan said, noting that flow is consistent and keeps the mushrooms submerged. 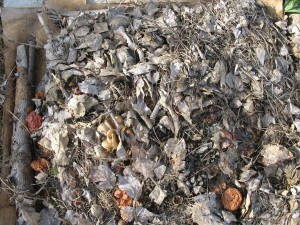 The mushrooms tend to grow on submerged wood but can also be found growing in the gravel, Southworth said. 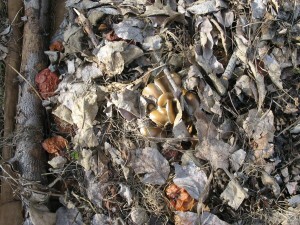 “These are growing in the same place for three months, ” she said, adding they have been found as late as Sept. 21. Although there are some known freshwater aquatic fungi, this is the only known gilled mushroom that grows underwater, she reiterated. They don’t know what the gas is, she noted. They are also intrigued by its three-month fruiting season. “That’s way long for mushrooms,” she observed. As for their edibility, Southworth figures the waterborne mushrooms are too small to warrant collecting for food. However, several of the terrestrial Psathyrella are edible, although most have never been tested as a food source, according to her research. “There is no reason it would go toxic,” she observed of a member of the genus growing in water. Meanwhile, Coffan, Southworth and Frank plan to return to the area to conduct further research to try to determine the extent of the mushroom’s habitat. They also want to check out other streams in the region for evidence of the mushrooms.